The South West Coast of India has been known for its ancient maritime trade with most civilizations in the World. The Malabar and the Konkan coast has been known for its historical ports where Arabs, Greeks, and Romans had very active trade connections. 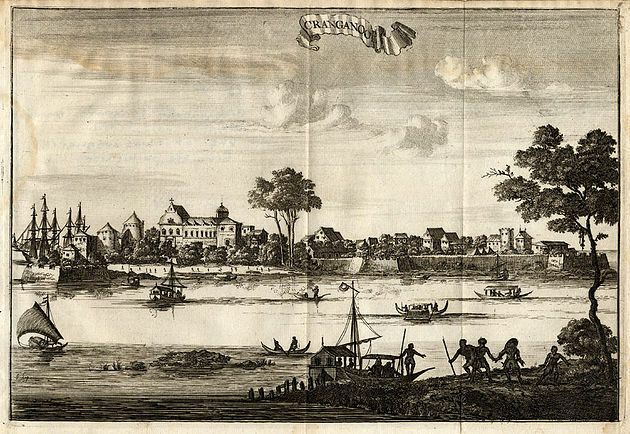 The ancient port of Muziris is one among them who had constant relations with rest of the world. Most of the goods traded were spices, timber, ivory, and other precious gems, among these, cardamom and pepper would have been the most traded one. Vasco da Gama, the Portuguese sailor who arrived the Malabar coast in the late 15th century called Pepper as black gold. There has been many archives based on civilizations, where the usage of cardamom is elaborately mentioned; for example, green cardamom was extensively used by Egyptians both as a medicine as well as a prime ingredient for aromatic oils. Romans and Greeks considered it as a mouth freshener. The fame of the Indian cardamom has been in existence since ancient times. Cardamom as a wild plant grew on trees in the wild. The tribals collected it from these forests, sun-dried it and sold it to the villagers for salt and clothes. The collected cardamom follows a chain of villagers, merchants, and traders before it reaches the coastal area as a product for trade. The routes were mostly through forest belts which are part of elephant tracks. The kingdom of Travancore, the local princely state had a thorough control of spice trade and spices were a taxed product. 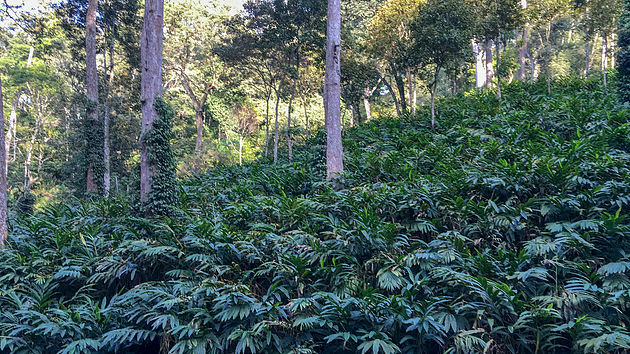 The Kingdom of Travancore allocated land in the high ranges close to Periyar which eventually came to be known as the Cardamom hill, and within the cardamom hills around nine thousand hectares of land was allocated and called the Cardamom hill reserve (CHR). The state encouraged cardamom plantations so that it could be taxed, that was how cardamom became a widely planted cash crop. At green earth trails, we organize interesting tours where we take you to the cardamom plantations, narrate stories of farms that have been in existence for a long time. 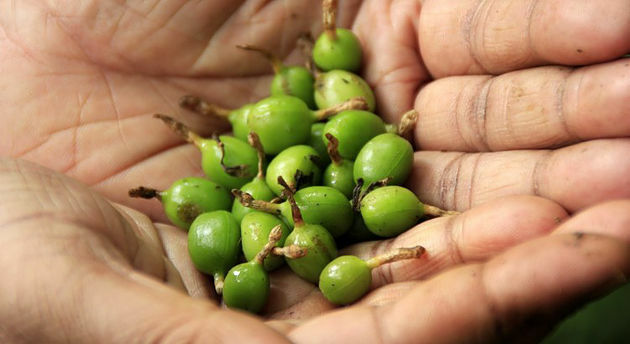 Learn about the plant, the fruit, the flower and finally how cardamom is harvested. The harvested crop is then taken to a modern cardamom store where the 24-hour drying process extracts all of the water from the cardamom fruit, and finally, the dried cardamom is brought to the government authorized cardamom auctioning center where merchants and traders e-auction different lots of cardamom. 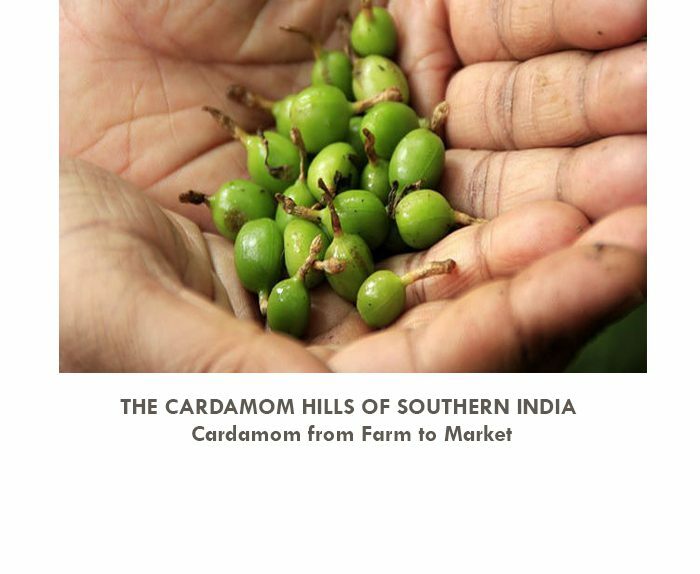 From here, all of the cardamoms goes to different parts of the world. By the end of the tour, you would be enriched with a lot of facts and stories of this top quality cardamom produced in the cardamom hills of Kerala. 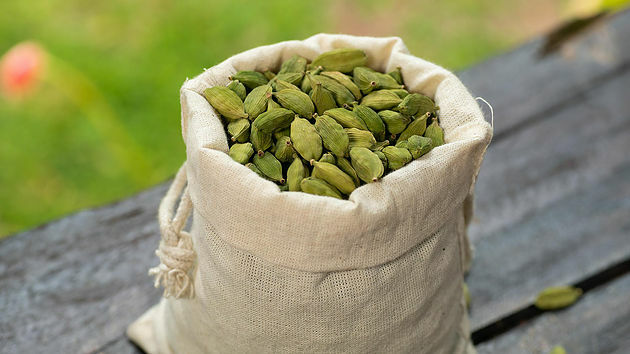 Unlike those older times, today cardamom works more like a commercial product from the plantations, mechanically processed and reaches your department stores in a very short span of time that how it was during ancient times.